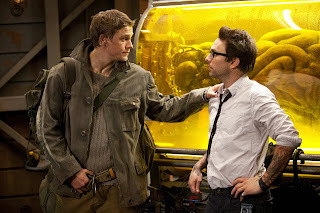 Robots vs. Aliens – From the Director of "Pan's Labyrinth"
Release Date: July 12, 2013 – U.S.
"Pacific Rim" is a spectacular feast for the eyes. The majority of films these days are content to stick to a palette of three or four colors, if so many. Not this one. It uses the entire rainbow to create mind-blowing visual effects and incredible action. It looks bright and bold in ways that most movies aren't anymore. In the very near future, Earth has been invaded by aliens – not from the skies but from the seas. 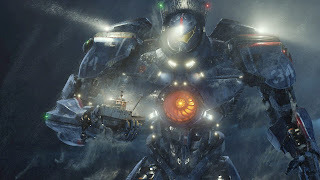 They're called Kaijus, and humans are required to pilot giant robots – Jaegers – just to have a fighting chance against them. Each massive machine is manned by two people, who meld into each other's minds to determine their compatibility during combat. Controlling the mechanical beast is like playing a video game on steroids – but there's no "continue" button, only lingering consequences. Raleigh Becket (Charlie Hunnam, "Sons of Anarchy") is all too aware of that. 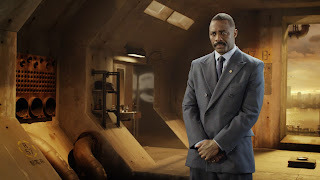 After five years away from the action, he's called back into service by his commanding officer, Stacker Pentecost (Idris Elba, "The Wire"). The very survival of the human race – and the planet – is at stake. Pentecost is assisted by Mako (Rinko Kikuchi, "Babel"), who has dreams of one day piloting a robot herself. Her story, perhaps more than any other, provides the heart of the film. Also on the crew: Chuck (Max Martini), a hothead with a major chip on his shoulder; his father, Herc (Robert Kazinsky), who doesn't know whether to hug his son or kick him; and Ops Tendo Choi (Clifton Collins Jr.), who provides technical support and helps direct the missions from the control room. They're joined by two scientists: Newton Geiszler (a manic Charlie Day, "Horrible Bosses"), a Kaiju researcher who is dismissed as a "groupie" for the monsters, and the off-kilter Gottlieb (Burn Gorman, "Layer Cake"), who seems like he stepped right out of "A Beautiful Mind." Geiszler's interactions with Hannibal Chau (Ron Perlman), a black market dealer who specializes in Kaiju parts, are priceless. At first glance, Hunnam seems like yet another one of those typical, cocky, American pretty boys you see in many of today's productions. He comes across as completely lightweight and insubstantial. That is, until you realize he plays a rough and tumble biker on "Sons of Anarchy" and his native accent is British. In actuality, it's a fantastic performance; he just makes it look easy and carefree. Idris Elba – also an Englishman – gets to keep his accent, and he uses it to full effect. His tone is quietly powerful – but he turns up the volume when he needs to, whether it's to dress down an insubordinate soldier or motivate his troops for a battle they're almost sure to lose. 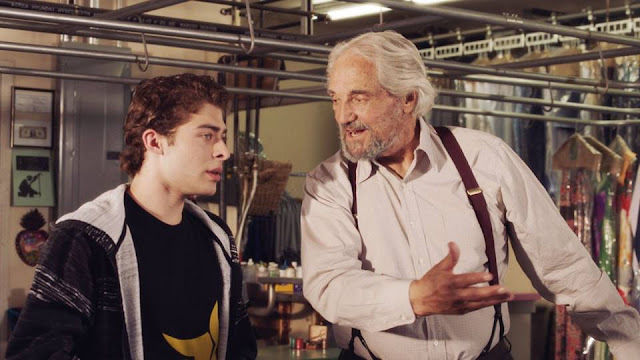 Charlie Day's wacky intensity – so overwhelming and overbearing in "Horrible Bosses" – strikes the perfect note in "Rim." His scenes provide necessary relief from the cataclysmic clashes that dominate the rest of the 131-minute running time. Meanwhile, Rinko Kikuchi – who was so dark and distraught in "Babel" – is allowed to bring a lighter tone to her character while still playing a major dramatic role. Elba, Kikuchi, and Day are the highlights of the film, but truth be told, no one walks into a movie like this looking for an acting showcase. With that said, "Pacific Rim's" great performances and fully-realized characters make everything else matter a whole lot more. However, the action is still the true draw – and it's breathtaking. The best battle, to me, occurs in the middle of the film – on the busy streets of Hong Kong. The scene is a smorgasbord of vibrant colors, bright lights and city signs, and massive destruction. It's such an incredible sight to behold that I almost expected the movie to end right then and there. Luckily, there are still a few loose ends to tie up. Nothing that comes after is quite as awe-inspiring, but it doesn't matter – because the story and characters had successfully sucked me in by then. The origin of the Kaijus – which I won't spoil – is genuinely cool too. I can nitpick: Some of the "scientific" gobbledygook doesn't make much sense, and the names of the characters are flat out ridiculous (Stacker Pentecost? Ops Tendo Choi? Oy!) But none of that diminishes the overall quality of the film, which is high. Guillermo del Toro ("Pan's Labyrinth") is masterful at creating amazing worlds onscreen. He does not disappoint here. This is an experience. Every time we buy a ticket, we hope against hope that we can be transported to another time and place – even if it's just for a little while. 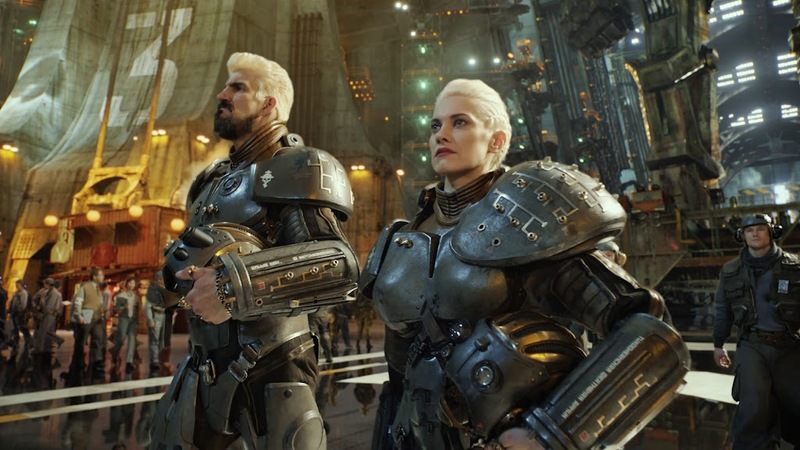 In "Pacific Rim," we are.